Transport Minister Ian Borg’s house (left) and the field he wants to develop. The Planning Authority agrees that a controversial application by Transport Minister Ian Borg to develop an ODZ agricultural land next to his home close to Rabat should be given the green light. 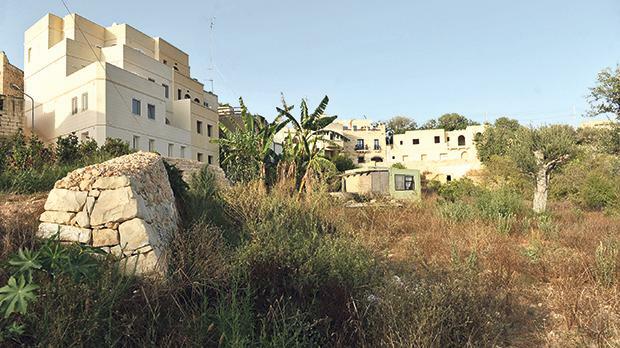 NGOs, including Din l-Art Ħelwa, Flimkien għal Ambjent Aħjar and the Ramblers’ Association, objected to the application, arguing that policies for the area, a rural hamlet in the limits of Rabat known as Santa Katerina, did not allow such development. Yet, the PA is recommending its development commission to grant a permit to the minister, who is politically responsible for the planning watchdog. Another objector, Noel Ciantar, insisted the PA was trying to justify the granting of the permit by invoking different rules he argued should not apply for the area in question. According to Mr Ciantar, who had objected to the granting of the original permit to Dr Borg in 2014 when he had applied to build his house on ODZ land in the same area, the rural policy and design guidelines were being mentioned to justify the permit when the zone fell under the northwest local plan, which did not allow for such development. He said this had been confirmed by planning commission chairwoman Elizabeth Ellul during an investigation into the first permit. The PA argued that, according to the local plan, “the site is not indicated to be of an agricultural value” and the permit was, therefore, justified because a similar one “just 700 metres away from” the minister’s house had been approved. It also said Dr Borg had revised downwards the development footprint and a planned swimming pool would replace a disused cesspit. In line with the application, submitted earlier this year, an untouched agricultural field would be converted into a large landscaped private space including a swimming pool and a dining area. Dr Borg bought the ‘abandoned’ 600-metre-square field, overlooking a pristine rural area on a valley with unobstructed views, from a private individual for €11,700 in 2014. In 2014, when he served as parliamentary secretary, Dr Borg was granted a development permit to build a 400-square-metre house in the same area. The Ombudsman had eventually said the application’s approval of a development in such a sensitive rural area was “a grave error”, adding the permit should not have been issued. The Ombudsman had ordered a review of the permit but work on the house continued notwithstanding. The Commission Against Corruption had also looked into the matter. It found no indication of graft, though it endorsed the Ombudsman’s conclusions. Dr Borg was already in possession of the field he now wants to develop into an outside area when he had applied to build his home but decided to file the second application only once the house was done. Planning sources said such a two-stepped approach would facilitate the granting of a permit since the outside area would be considered to be part and parcel of the house. When contacted about the matter, Dr Borg said his architect, Colin Zammit of the Maniera Group, whom he described as “very competent”, had assured him his application was in line with current policies. He said it was now up to the PA to decide.